I was interested to hear about semi-sync replication improvements in MySQL’s 5.7.4 DMR release and decided to check it out. I previously blogged about poor semi-sync performance and was pretty disappointed from semi-sync’s performance across WAN distances back then, particularly with many client threads. Semi-sync replication plugin installed and enabled. sysbench 0.5 update_index.lua test, 60 seconds, 250k table size. While Shard-Query can work over multiple nodes, this blog post focuses on using Shard-Query with a single node. Shard-Query can add parallelism to queries which use partitioned tables. Very large tables can often be partitioned fairly easily. Shard-Query can leverage partitioning to add paralellism, because each partition can be queried independently. Because MySQL 5.6 supports the partition hint, Shard-Query can add parallelism to any partitioning method (even subpartioning) on 5.6 but it is limited to RANGE/LIST partitioning methods on early versions. The output from Shard-Query is from the commandline client, but you can use MySQL proxy to communicate with Shard-Query too. It is finally here. After three years of development, the new version of Shard-Query is finally available for broad testing. This new version of Shard-Query is vastly improved over previous versions in many ways. This is in large part due to the fact that the previous version of Shard-Query (version 1.1) entered into production at a large company. Their feedback during implementation was invaluable in building the new Shard-Query features. The great thing is that this means that many of the new 2.0 features have already been tested in at least one production environment. This post is intended to highlight the new features in Shard-Query 2.0. I will be making posts about individual features as well as posting benchmark results. Hadoop today (after SOA not so long ago) is one of the worst case of an abused buzzword ever known to men. It's everything, everywhere, can cure illnesses and do "big-data" at the same time! Wow! Actually Hadoop is a software framework that supports data-intensive distributed applications, derived from Google's MapReduce and Google File System (GFS) papers. 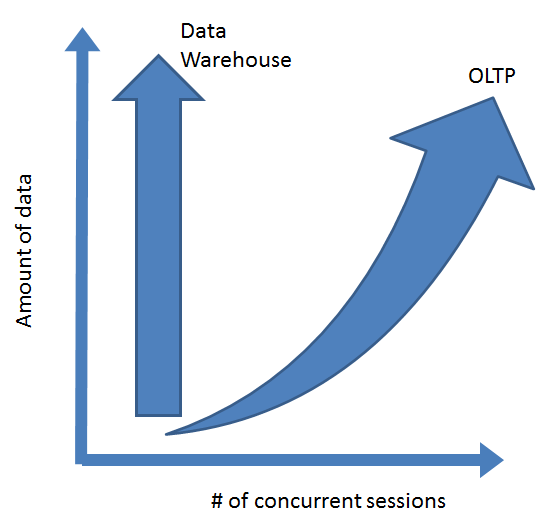 In my previous post I covered the shard-disk paradigm's pros and cons, but the conclusion that is that it cannot really qualify as a scale-out solution, when it comes to massive OLTP, big-data, big-sessions-count and mixture of reads and writes. 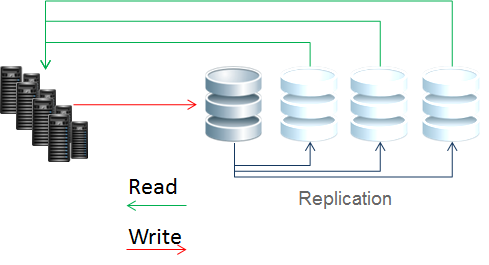 Read/Write splitting is achieved when numerous replicated database servers are used for reads. This way the system can scale to cope with increase in concurrent load. This solution qualifies as a scale-out solution as it allow expansion beyond the boundaries of one DB, DB machines are shared-nothing, can be added as a slave to the replication "group" when required. TokuDB has a big advantage over B-trees when trickle loading data into existing tables. However, it is possible to preprocess the data when bulk loading into empty tables or when new indexes are created. TokuDB release 4 now uses a parallel algorithm to speed up these types of bulk insertions. How does the parallel loader performance compare with the serial loader? We use the Air Traffic Control (ATC) data and queries described in a Percona blog and also used in an experiment with TokuDB 2.1.0 to gain some insight.